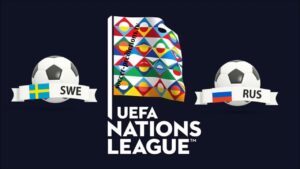 Everything will be decided in Solna regarding the clearance counts in group 2 of League of Nations B there is also the possibility of Swedes and Russians securing first place. In a position of greater pressure is Sweden, which is forced to win to reach the 1st place of the group. After their stunning home defeat to Turkey (3-2), the Swedes did not lose again, tied for Russia (0-0) and defeated Turkey 1-0 on Saturday. In the middle, they yielded a tie against Slovakia (1-1) in game of friendly character. Russia is enough to win the draw for the League of Nations. With three more points and no defeats so far, Stanislav Cherchesov’s side seems to have taken advantage of the good hype of the World Cup that they have done at home to embark on a good sequence of results. In the League of Nations, beat Turkey 2-1, tied with Sweden at home to 0-0 and beat the Turks at home 2-0. Moreover, he thrashed in September in a friendly to the Czech Republic by 5-1 and lost last Thursday with Germany out 3-0. I do not think the latest results will play a big role in tonight’s game. To play at home, Sweden will try to assume the expenses of the game, control it at least (and that does not mean properly have more ball and shoot more), against a Russia that goes to Solna to tie, this because the division of points is enough for the Russians to assure the leadership of the group and consequent clearance for Liga A. Having said that, I expect a more tactical first half, with Sweden and Russia wanting to take a few risks with so much stakes and to prioritize the defensive organization. In the second half, Sweden will have to chase after the result and with 0-0 not being in any way I think there could be a goal at least.